Address: 55 Central Park West, Manhattan. 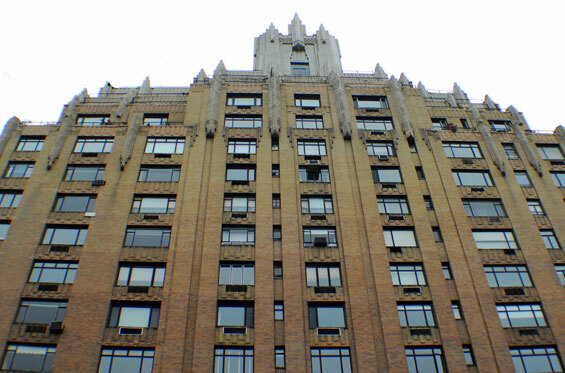 Nicknamed "Spook Central", the apartment building is located btw West 65th and 66th Streets. Dana Barrett lives in the high-rise along Central Park West. Her small apartment has a living room, kitchen, bedroom and bathroom. In recent times, she has noticed some unexplainable paranormal activity in her kitchen and as a result, contacted a team of scientists to investigate. 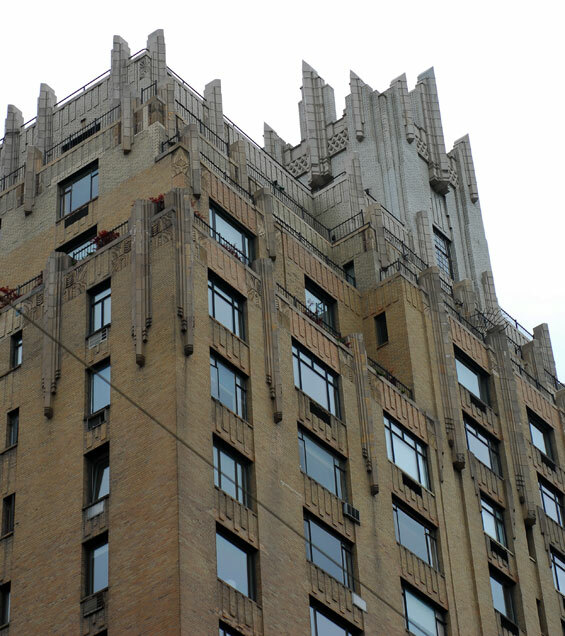 otsoNY Comments: The building at 55 Central Park West was only used for exterior use and is now nicknamed, Spook Central. Digital effects were used to modify the roof’s Art Deco. 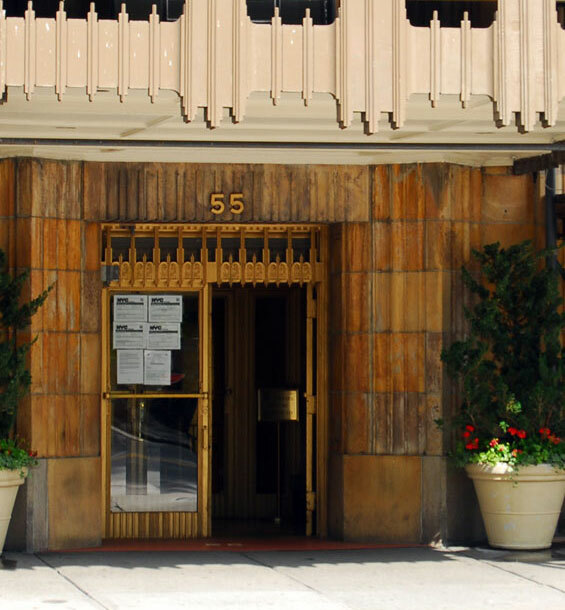 The building at 55 Central Park West is a housing cooperative located in Manhattan. 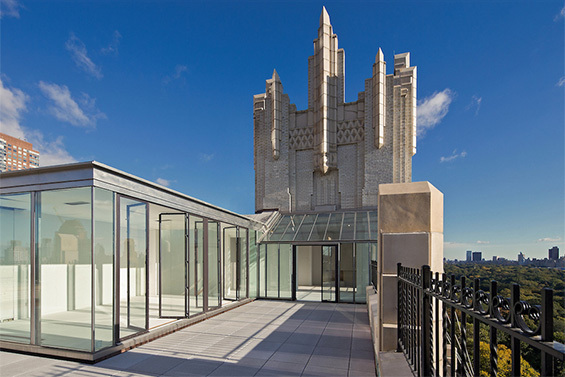 The building was built in 1929 and designed by the firm Schwartz and Gross. Both the interior and the exterior possess unique architectural features that set the structure apart from its peers. The building is considered a contributing property within the Central Park West Historic District, which is listed on the National Register of Historic Places. 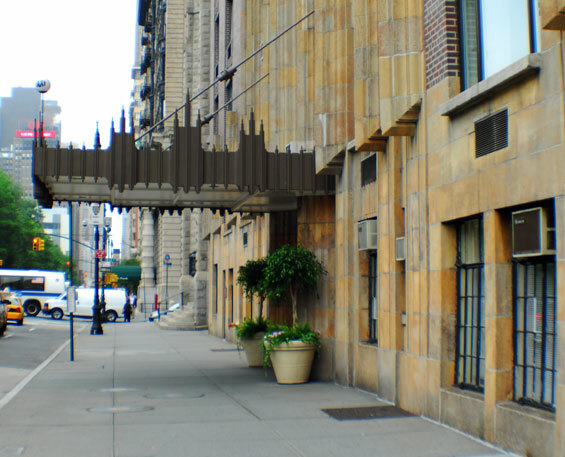 The structure, btw 65th and 66th Streets and considered to be mostly second tier by the socialite New Yorkers who occupy most of the buildings along Central Park West, was opened as a rental property in 1930. Its neighbour to the south is the earlier Holy Trinity Lutheran Church. 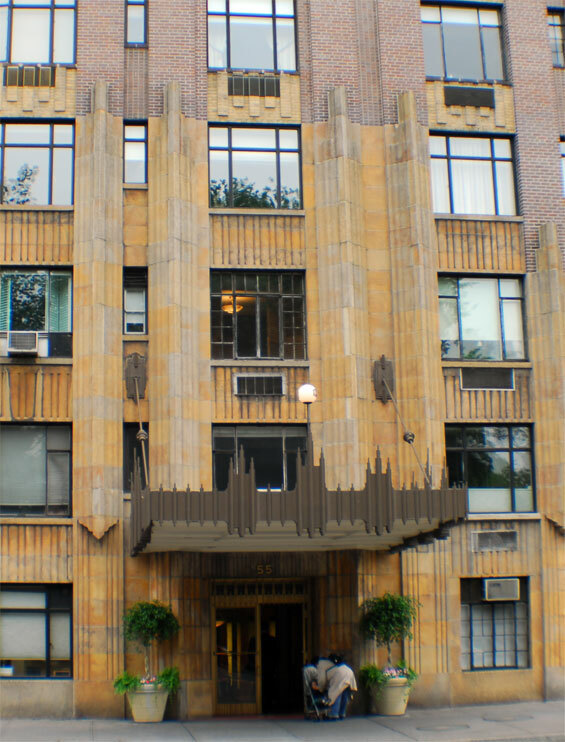 Though Central Park West would become an area heavily influenced by the Art Deco movement, the building was the first fully Art Deco structure on the street. When the building opened in 1930 it had apartments ranging from three to nine rooms, the largest of which had four bedrooms. The apartment living rooms featured a dropped living room, developed by the Earle brothers, which set the interior apart from most others constructed around the same period. An original rental brochure shows the dropped living room nearly entirely open to the entrance gallery; traditionally the gallery was held as a different room. The six apartments on the top five floors of the building are considered the most desirable. Two apartments in particular, 19 and 20F, are the most highly sought after. Together the two units form a 4,500-square-foot (420 m2) penthouse, sporting eleven-foot ceilings, two functioning fireplaces and a 1,000-square-foot (93 m2) terrace. The exterior of the building is also somewhat non-traditional. As the brick facade rises from the ground it changes shade from a deep purple to a yellow-white. Colour was being widely used during the 1920s as a tool in architecture for overall effects.